Autofeed advances, retrieves cable with a push of a lever, up to 20′ (6 m) per minute. Versatile AUTOFEED® control adjusts for either 5⁄8″ (16 mm) or 3⁄4″ (20 mm) cable with a twist of a screwdriver. 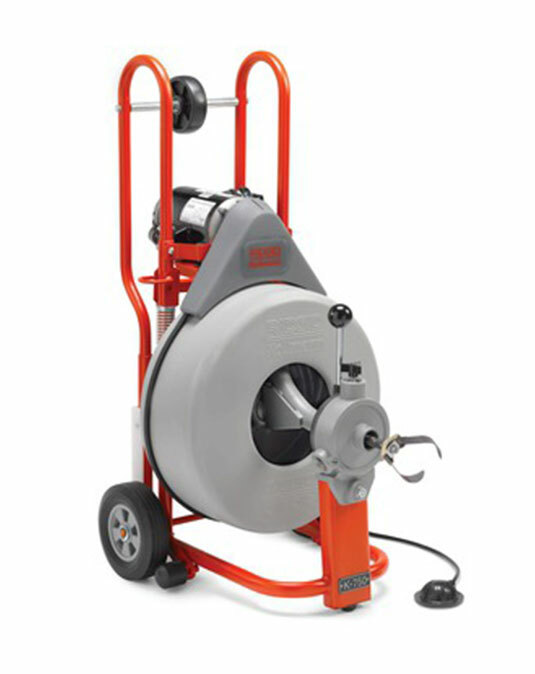 Drum holds 100′ (30,5 m) of 3⁄4″ (20 mm) or 125′ (35 m) of 5⁄8″ (16 mm) cable and is designed for quick, easy removal. Well-balanced design gives machine a lightweight “feel.” Transport wheels ease loading into service truck/van. Equipped with 550W induction motor.